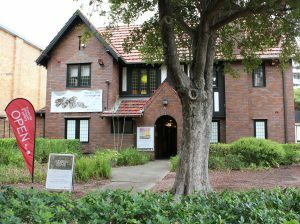 Hurstville Museum & Gallery. Courtesy of the Museum & Gallery. 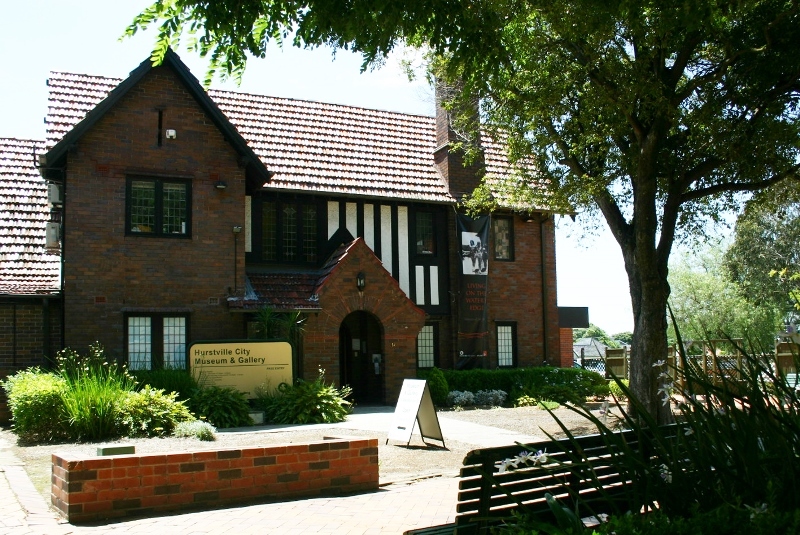 Hurstville Museum & Gallery is housed in a Tudor style building at 14 MacMahon Street. It is a two-storey brick building with characteristic black and white wall infills, handcrafted window frames and a rounded brick arch entry that can’t help but beckon and usher you inside. The latest exhibition at the Museum & Gallery, If these walls could talk:stories from 14 MacMahon Street celebrates the ten years of museum and gallery residency and peers back into the building’s 85 year occupation history. The building was privy to the most intimate of conversations; listening as the elderly and infirm and feverish infants waited for the doctor's attentions. Originally built in 1929 by Peddle, Thorp and Walker (now known as PTW Architects) for Dr John Crakanthorp, as his surgery and family home. During his 34 years at the property the walls witnessed a myriad of minor operations; tonsillectomies, minor surgery and the removal of teeth. According to his daughter Phillipa, “he delivered triplets at one stage too, so that was quite something!” The building was privy to the most intimate of conversations; listening as the elderly and infirm and feverish infants waited for the doctor’s attentions. After the Crakanthorp’s moved on, the building became home to the St George District Rugby Club followed by MacMahon’s Manor, a bawdy-style theatre restaurant. Stories no doubt abound! Many of the community groups who have spent time in the building have come together to make this a truly unique exhibition. They’ll share their own stories and the whispered stories of the past, bringing alive the occupants of a building where if the walls could talk they would say the front door has always been open. It’s a show full of fun, life and love – if you would like to hear more from the walls of 14 MacMahon Street and its community, If these walls could talk should not be missed.